The insurance industry has evolved over time, and growing competition has prompted innovation in products, leading to better risk management of trade, material, human resources and revenue. It is important to identify the best risk managers, the best products and the people behind these products and highlight their achievements. While everyone welcomes recognition, it also spurs further innovation. 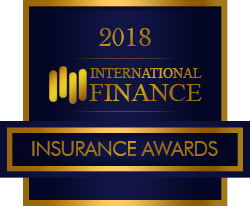 International Finance Insurance Awards seeks to reward those who are striving to safeguard the interests of customers world over.